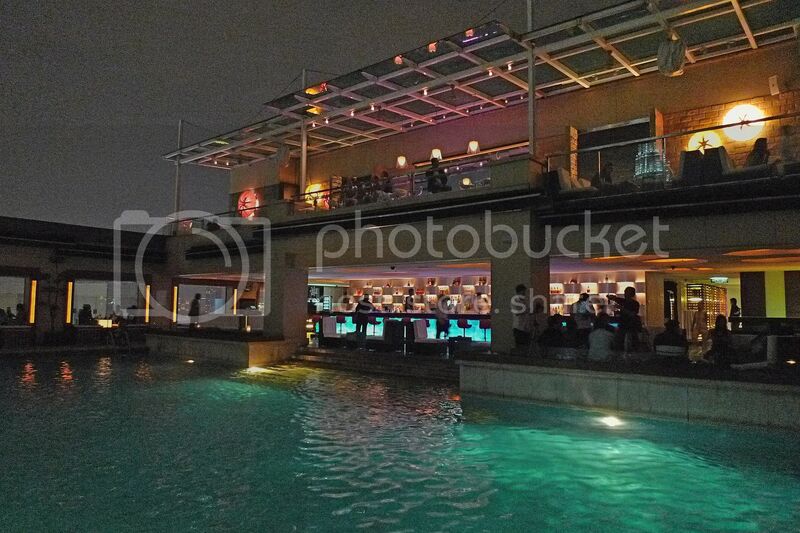 Last year, I went to two famous roof-top bars in KL. They are SkyBar and Luna Bar. It was my first time to these two bars so it was only natural that I would want to make a comparison between the two. Let me start off with Luna Bar. 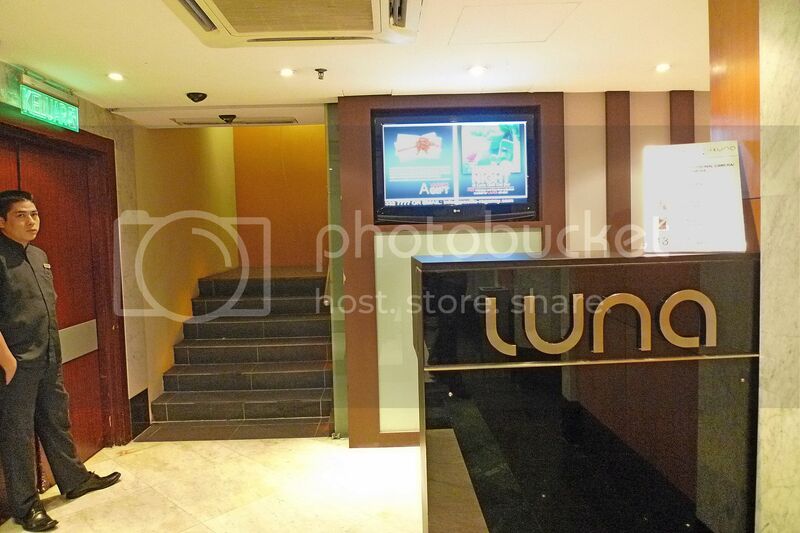 Located on the 34th floor of the Pacific Regency Hotel (opposite KL Tower) at Jalan Punchak, off Jalan P Ramlee in KL, Luna Bar was impressive on my very first visit. But...and here's a very BIG but....I almost went dizzy trying to reach it! Not that it was very high up, but because going to the bar was not as simple as taking the lift to the 34th floor. Nope. From the basement car park, I had to enter two different lifts at different location and even climbed up a series of stairs. Gosh, it was so confusing I don't think I can tell you exactly how to reach the Luna Bar! 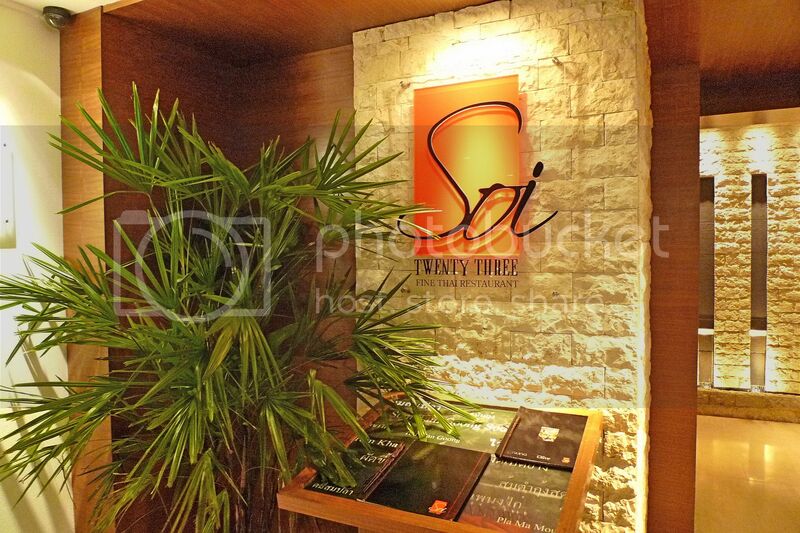 Anyone of you have eaten at Soi 23 before? I passed by this Thai restaurant on the way up to Luna Bar! Sitting beside the swimming pool with the view of the Twin Towers in the distance, I thought the ambience was really cool! But that's not where I sat. Haha! By the way, swimming in that pool is strictly prohibited. Only hotel guests can swim in it during the day. 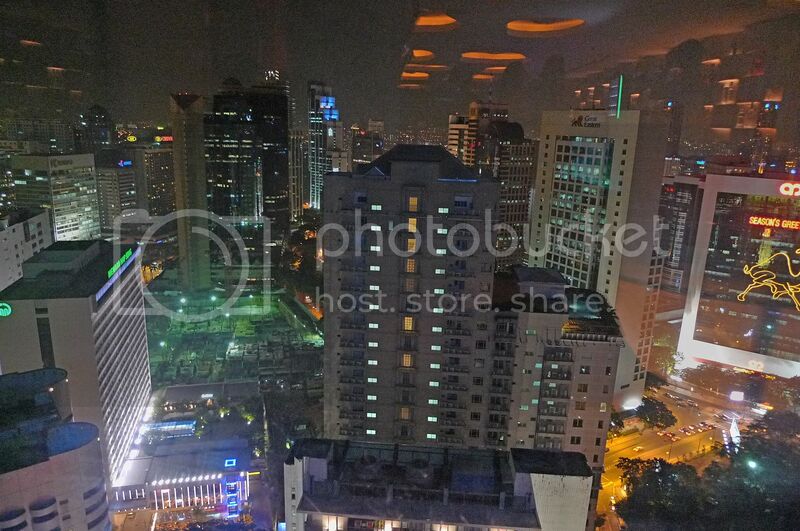 I actually sat beside the glass window that overlooked the KL city below. Look at that reflection! Luckily it did not reflect my panda face. Haha! Sorry no photos of the place I sat cos the photos did not turn out nice! I ordered this alcoholic drink - I think it's called The Red Dipper or something. I also ordered the pizza and it was quite delicious! Sorry no photo of that pizza! 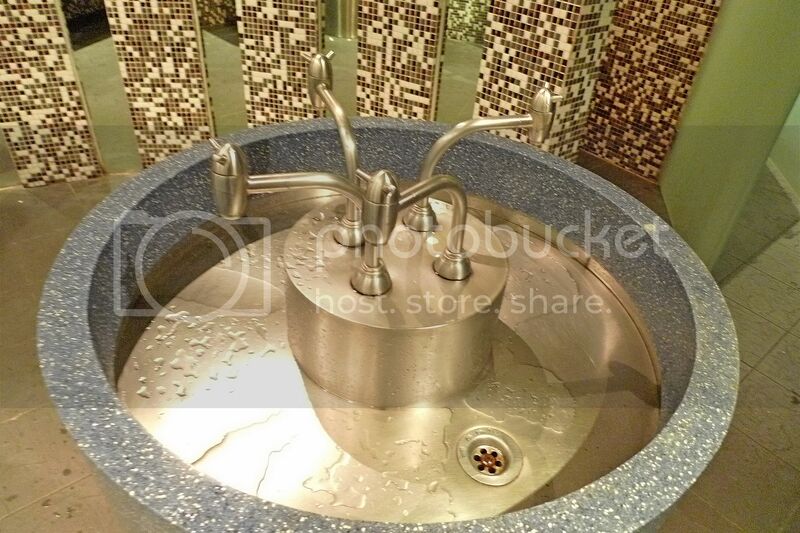 In case you are wondering what the photo below is all about, well, it's just that I found these cute looking taps in the male toilet and just snapped a photo of it. No I did not snap anyone peeing - that would be illegal. Haha! I was happily chilling out without realizing that there's another floor of this bar above me! From this angle, can you see the open roof-top on the upper floor? I quickly climbed up the stairs to reach the open roof-top. Anyone can tell me how to make my photos appear less grainy? I thought the view from up here was just OK only. Although I could see the Twin Towers from here, unfortunately it was only ONE tower. As a matter of fact, due to the location of this Luna Bar, sitting or standing anywhere up here would not give you the splendid view of both the towers. What a disappointment! It was still quite cool, nevertheless and I still highly recommend a visit here especially if you have not visited before. For your information, Luna Bar won the coveted Best Night Spot Award in the Hospitality Asia Platinum Awards (HAPA), Regional Series 2008-2010, beating competitors from Thailand, Singapore and Indonesia. 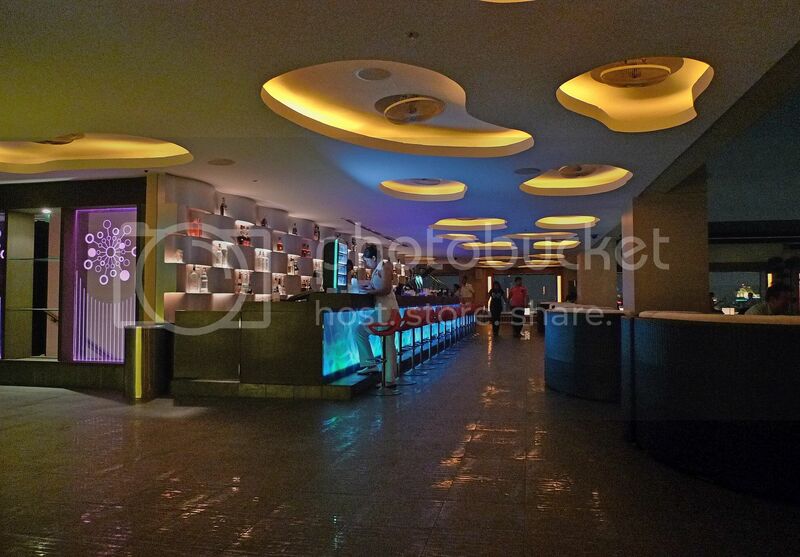 So how did Luna Bar stack up against SkyBar? 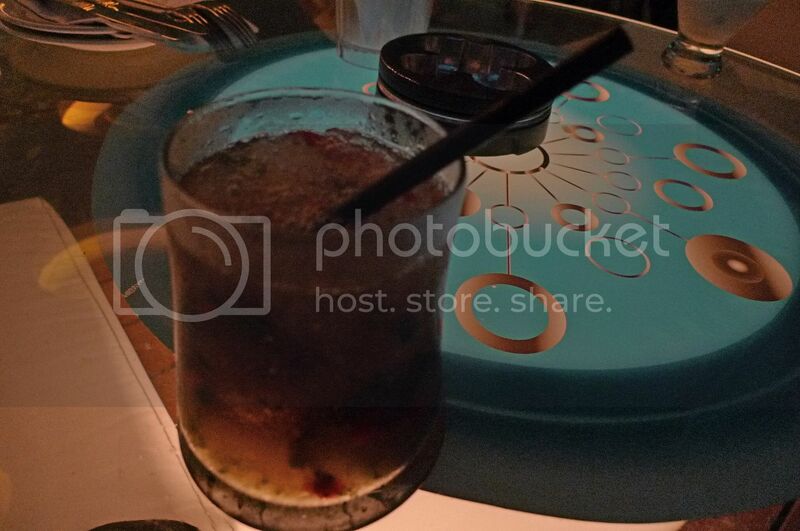 I will let you in on my thoughts about SkyBar in the next post, so stay tuned! I am so out-dated. Have never been to either one. 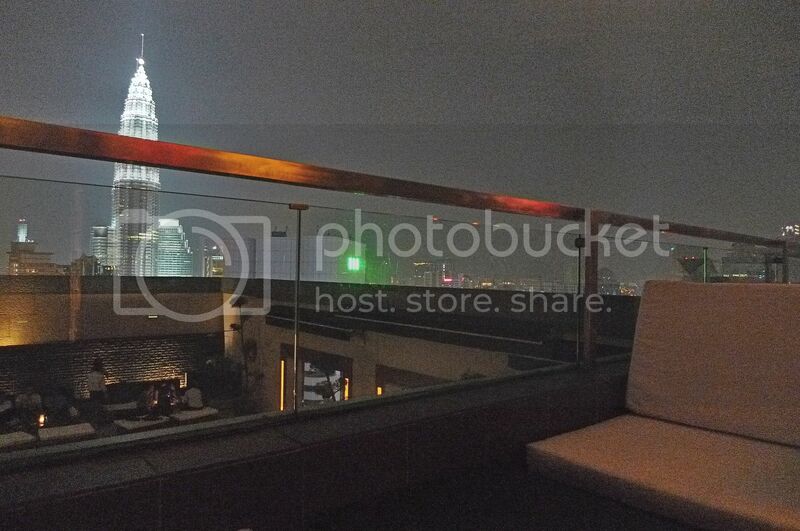 Wow...famous roof-top bars in KL? I have never been to any bar. Wow...sky bar? Luna Bar? Wow...how come sounds like this bars are like a place for vice? haha :D because hard to reach mah, perhaps it is a tactic to evade law enforcers? Oic...they even serve pizza there? How to make your photo less grainy? 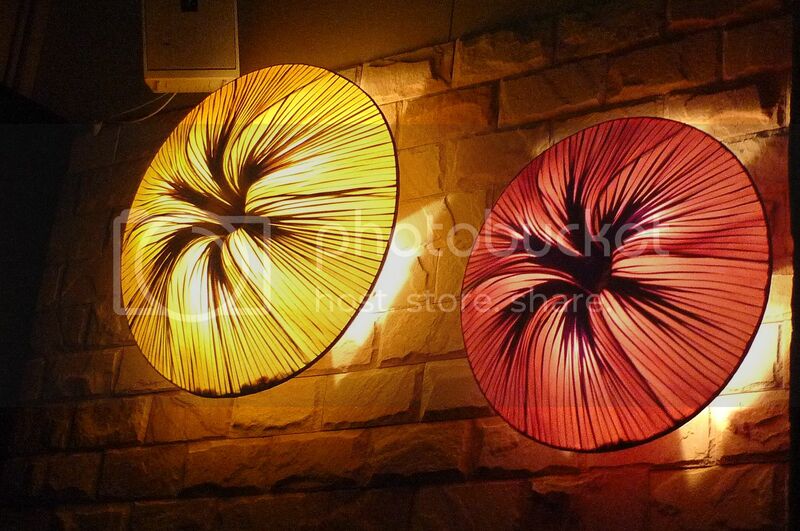 you need to invest in a special lense for night scene maybe? :p Perhaps the lighting is not sufficient enough. Wow...it even has an award? :p Perhaps I should visit there one day if I go KL. i only went to the SkyBar, that was also last year somewhere near Christmas..
we wanted to go to Luna Bar at first, but then we found out there's a cover charge of more than RM50, so decided to go SkyBar instead..
and so, since we have made the booking earlier, we are given two tables by the window.. so can see KLCC right in front of our eyes..
so compared to Luna Bar, the SkyBar is indoor.. and i was a bit nervous when walking along the pool.. kind of worried that i'll fell into it @_@"
can't really remember what drinks i ordered, but not alcoholic.. i think it's something lime soda with mint.. nice though..
anyway, we didn't stay up late because it was weekday and we've been so tired after a whole day's work.. i think we left around 11pm..
btw, i think there's still some rooftop bars in town.. there's a new one in sri hartamas if not mistaken.. saw the ads in cinema, haha..
oooh i like this post. 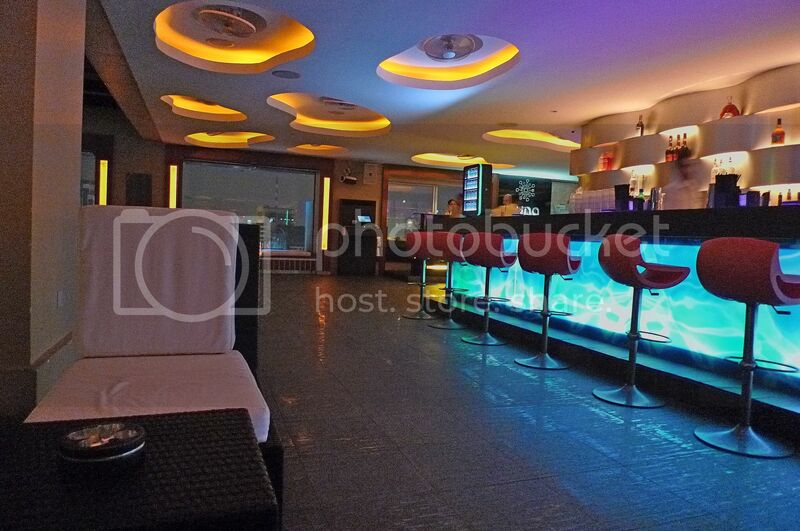 can't wait for your review on skybar and then make the comparisons! I kinda like skybar at this moment! Do they serve non-alcoholic drinks? I am a tee-totaler. How much was the pizza? If you want the pictures to be less grainy, use the reduce noise function in Photoshop. Have You Ever Won a Contest Online? i've been to Luna Bar...love it!!!!! miahaha got ppl shy shy with his panda face! ;p anyway nice place eh.. gonna go visit there when am thr on may! i hvn't been there yet! looks great! Fab place! I dream of seeing the twin tower. I wish I'll realize it soon! I never been to Luna bar but i been to Skybar and the Trader general manager served us food and drink.. on the house... :p Later we got a tour on the whole hotel. omg. i like the swimming pool! jacuzzi there too? Good place to relax, these drinking holes. Haven't been to Luna Bar though. Love the view from the Sky Bar. Was told patrons can use the pool. The buffet is pretty good at their coffeehouse - on the third floor, I think - not quite sure. Love the decor - minimalist. First-time visitors to the hotel (lobby) may be stunned at how simple (and chic) the place is. If you get the chance, visit the rooms too. This is a trader's hotel afterall - nothing fanciful but still nice place. A bar so high up on a building? Gosh, can't imagine how it'd be coming down for drunkers. And a swimming pool inside a bar too? I've never heard of it like that. I don't think we have bars with swimming pools in San Francisco. I haven't been to these bars too! Was it costly? Less grainy picture? Try to use a Higher ISO for the night? A friend of mine invited me to Luna a few times but I was busy that time, anyway I have stop drinking and night life these days. LOL! Very special bar, would like to try it. tekkaus, these two bars are quite classy one, not for vices. Haha! The red dipper was good and no I was not drunk, hehe. SK, the cover charge at Luna Bar only applies to weekend after 9.30pm, I think. You must have enjoyed the stunning view of KLCC yes? Fall into the pool - surely it's not that easy right? Haha! There's a roof-top bar in Sri Hartamas? Wonder where is that! robo, not sure the cost of beer, but my Red Dipper costs about RM20. khengsiong, thanks for the advice! I still have not learn how to use Photoshop! monica, yes it's a nice place. Have you been to SkyBar? faisal admar, no jacuzzi, only swimming pool. Haha! happysurfer, why don't you visit Luna Bar and let me know which bar you prefer?